Over and over again, a mobile speed camera on I-95 catches speeders and generates way more tickets than any other Maryland State Highway Administration speed camera. 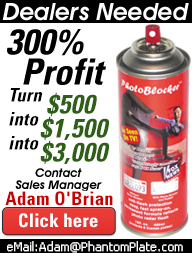 That camera, which sits in the I-95 work zone between I-695 and I-895 in Baltimore, has written 204,779 thousand tickets from November 2009 to March 31st, 2011. The bulk of the tickets came between September 10 and the end of March 2011. Some drivers claim speed cameras along Indian Head Highway in Forest Heights, Md. is making rather stark miscalculations. Some drivers say the cameras focused on northbound and southbound Route 210 are committing highway robbery. Earl Lomax is a former police officer who says the two speed camera tickets he got along the busy two-lane road this summer are bogus. A man says his speeding tickets were thrown out because he proved the cameras were inaccurate. CNN's Brian Todd reports. Red light cameras: Say those words and some people start to steam. But now, a stunning story of a funeral procession that was ticketed, and even worse, it seems clear that no one even watched the tapes before the violations were sent out. Want to see it? Take a look at this Help Me Howard with Patrick Fraser. WASHINGTON, D.C. (WUSA) -- If you're a commuter or someone who drives into the District from time to time, you'll be interested in this. Did you realize that in the last fiscal year alone, the city of Washington issued more than 147,000 mobile speed camera tickets? NEW CARROLLTON,, Md. - The town of New Carrollton's new mobile red light cameras are snapping up pictures like the paparazzi and motorists are calling the cameras out. Danielle King got two tickets and says she's been wrongly accused. "I got caught by one up there," says King referring to the cameras along route 450. Motorists complain they are being wrongly accused. King says," I think they need to go away. I just think they are unfair. They need to go away." A driver has racked up dozens of speeding tickets in photo-radar zones on Phoenix-area freeways while sporting monkey and giraffe masks, and is fighting every one by claiming the costumes make it impossible for authorities to prove he was behind the wheel. "You've got to identify the driver, and if you can't it's not a valid ticket," said Dave VonTesmar, a 47-year-old flight attendant said. 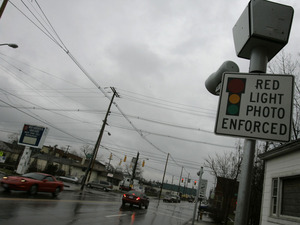 CLEVELAND -- One of Cleveland's red-light cameras went on the blink Tuesday at one of the city's busiest intersection, adding fuel to the fire for drivers who already don't like the cameras.The camera that malfunctioned is located at East 30th Street and Carnegie Avenue, and drivers are wondering if they will get a $100 ticket for doing nothing wrong. Getting caught by a red-light camera can be pricey -- especially in California. With fees, traffic school and court costs, a single ticket can cost $500 or more. More than a dozen states have banned those cameras, as voters see them as unreasonable revenue generators for hard up local governments. But some people argue these devices help curb traffic accidents. Authorities in Iowa’s second largest city have activated the first of more than 20 red light and speed cameras, but drivers who are caught on camera breaking traffic laws won’t have to pay a fine just yet. Instead, for the next 30 days, Cedar Rapids drivers who break the law will receive a warning. COLLIER COUNTY, FL. - A judge in Aventura, just north of Miami, ruled to get rid of red light camera fines because they're unconstitutional. Will Collier County soon be following in their footsteps? On local woman is hoping commissioners that that initiative. Especially, after a camera at the intersection of Golden Gate Parkway and Collier Boulevard gave out a ticket she says may not have happened just a few counties away. A growing number of police departments are turning to mobile camera systems to fight motor vehicle theft and identify unregistered cars. The cameras read license plates of parked and moving cars — hundreds per minute — and check them against vehicle databases, said Lance Clem, a spokesman for the Colorado Bureau of Investigation, which purchased several systems for its police vehicles last fall. Doubt over the accuracy of the speed camera equipment led to the dismissal of a Washington, DC photo radar ticket last month. 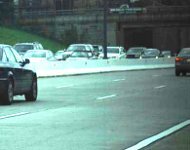 On May 7, a 34-year-old engineer from Alexandria, Virginia had been driving on Interstate 295/395 near 9th Street on a sunny morning when a mobile speed camera operated by American Traffic Solutions snapped a photo of the engineer's car. The camera claimed that the Audi was traveling at 51 MPH, 11 MPH over the District's 40 MPH interstate speed limit. If you are a driver in the Chicagoland area then you know your worst enemy. No, not the bikers who fail to see instructions on the road or the traffic wardens who spot out an expired parking meter just seconds before you run back to your car. 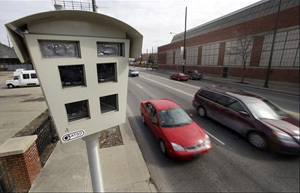 The real enemies of any driver in Chicago are those ever vigilant red-light cameras. Their purpose appears simple: to accurately catch and fine those who do not respect the rules of an intersection. However, their true nature stems from a much more evil, corporate mindset. Chicago - Here's a number to consider the next time before you blow through a red light in Chicago: $64.1 million. That's the financial haul the city's red light cameras raked in in fines last year. It's far more than the color red that's now torquing motorists, but what they view as a lack of yellow. "Why can't the city afford to give us all citizens and motorists one more second of yellow?" said Barnet Fagel, a safety advocate and traffic researcher for the National Motorists Association. TACOMA – A driver ticketed by an automatic speed camera fought it in court and won because of a pair of mistakes printed on the ticket. The camera is located along East Bay Street. Tacoma received special state permission to put the camera there because police consider that stretch of road dangerous. HOUSTON – The red-light cameras are back on in Houston and, technically, not all of the red-light cameras are issuing tickets. But HPD will not reveal which are and are not. 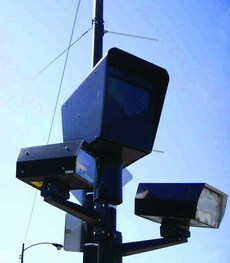 The department said it is still evaluating the system, including the placement of the cameras.